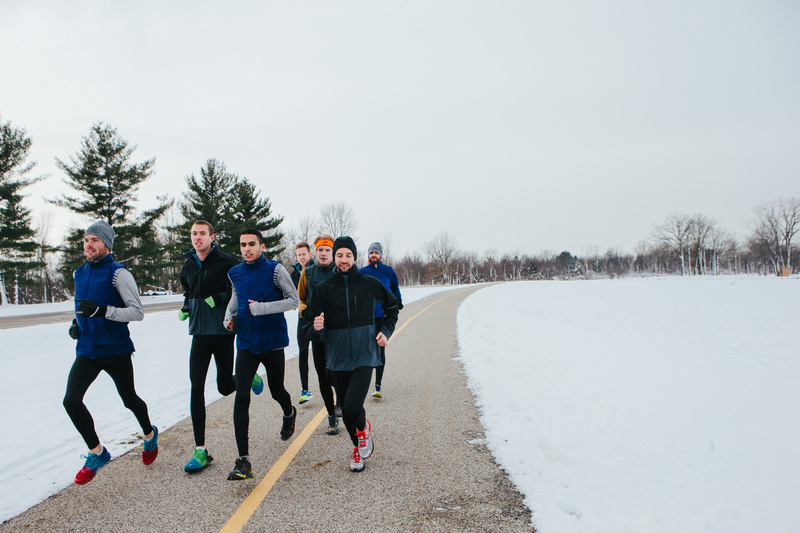 I run for Brooks – Run Happy! I got cut from the basketball team sophomore year of high school and walked straight out to the track. The track coach told me that would be the best decision I ever made, and he was right! As of now, I would say being an Olympian is my biggest accomplishment. It’s always been a dream of mine to run in the Olympics, but it was a dream that always seemed so far away. I still can’t believe that I am able to accomplish it at such a young age (24). Do you have any habits, routines, or superstitions? I am definitely a slave to routine. I don’t think I have anything really weird or out of the ordinary. But I do the same thing before every workout, the same thing before every race. I eat the same thing, at the same time, with a set warm up routine (including the mandatory port-a-john stop). 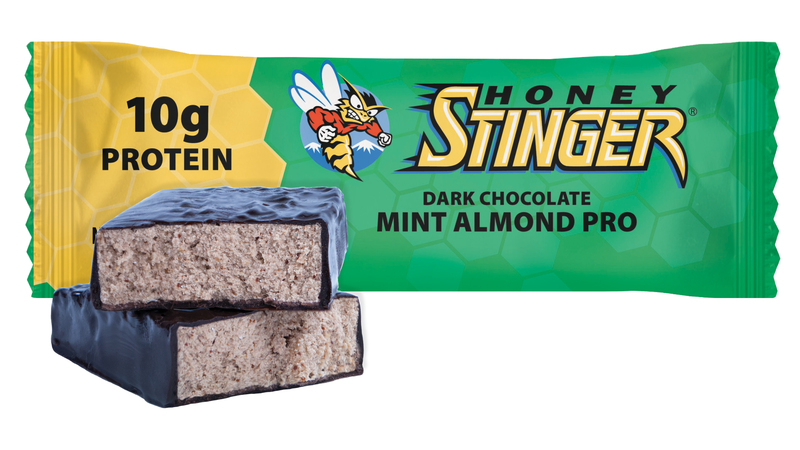 Ever since being introduced to Honey Stinger at the local Hansons Running Shop, I’ve been all about Honey Stinger’s products which promise to fuel the run with natural ingredients! Before. During. After. I snack on some chews or a waffle 15 minutes before my run. I take gels during long runs and hard efforts. I eat a protein bar immediately after my run on my drive home to help my muscle recovery. What is your absolute favorite meal and/or food splurge? Pizza. I can eat pizza every day and be okay with it! I was the student speaker at my undergraduate graduation ceremony. 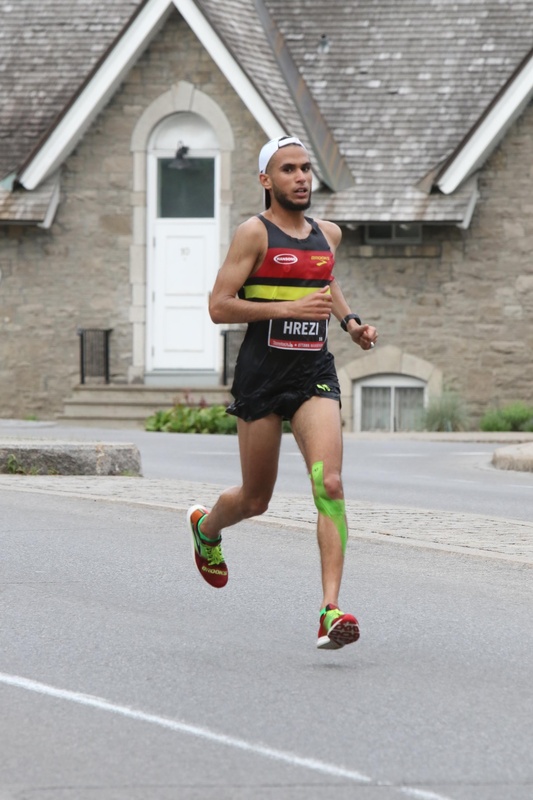 *Mohamed competed for the Olympic gold in the Men’s Marathon on Sunday, August 21st, 2016. This entry was posted in Hive News and tagged Dark Chocolate Mint Almond Protein Bar, gold medal, Libya, marathon, Mohamed Hrezi, Olympics, pizza. Bookmark the permalink.